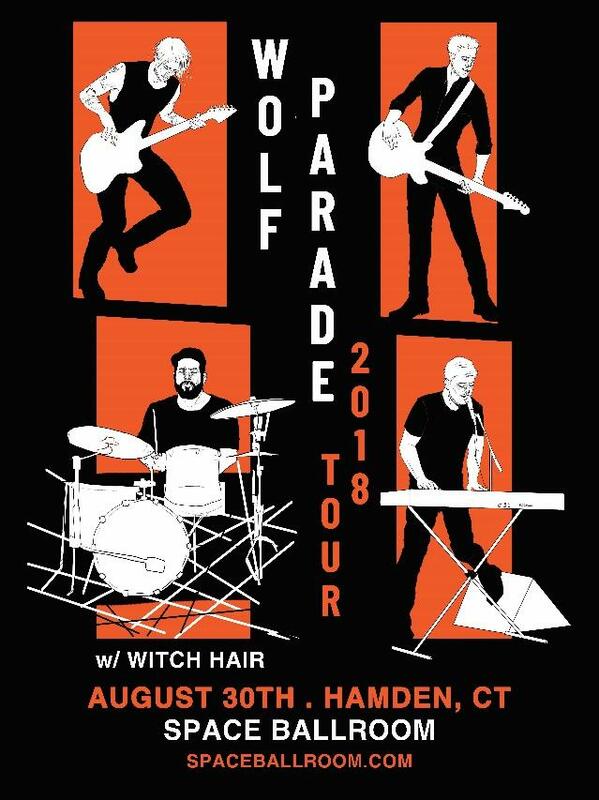 This week we have a variety of shows, starting tonight (8/30) with Wolf Parade at Space Ballroom. They are back from their indefinite hiatus and ready to rock with their rousing anthems and killer guitar and vocals. Make sure to get tickets because they are almost sold out! This week for Manic Monday (9/3) we’ve got the action-packed Labor Day Party at Cafe Nine with Pleasure Beach, Ourselves Alone, Tier, and Every Branch. It’s free with an RSVP, so be sure to come out for an awesome show! 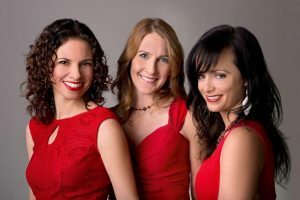 On Wednesday (9/5) American powerhouse vocal trio, Red Molly comes to Space Ballroom to play songs from their 2017 solo endeavors as well as all their classics. 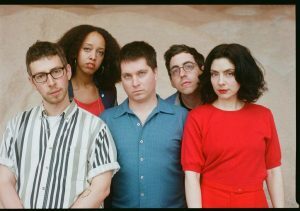 We’ve got another show on (9/5) at Cafe Nine with alternative/indie group, Ava Luna who is set to release their fourth record on (9/7). Exciting news! Hippo Campus is playing at College Street Music Hall on (10/28). The Minnesota group formed in 2013 and had one of the most talked about performances at SXSW and quickly made their television debut on Conan. It’s a show you won’t want to miss! Presence CT: Led Zeppelin Tribute is coming to rock-out at Space Ballroom on (11/24) with their spot-on renditions of some of Zeppelin’s finest work. Tickets go on sale this Friday (8/31) at 10am. 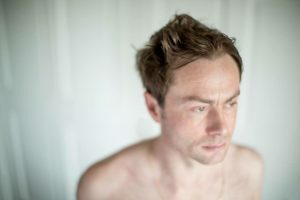 Just announced at Cafe Nine, Royston Langdon of Spacehog bring his new solo project, LEEDS, to New Haven on (11/26). His latest album, Everything’s Dandy, was released this past May and is a look into the past 24 years of his life in New York. Read the rest of the blog to find out about other upcoming shows and announcements! INFO: The soaring choruses, rousing anthems, sprawling guitars and chaotic keys that make up Wolf Parade are on proud display over the course of Cry Cry Cry, the band’s thunderous first album in seven years. 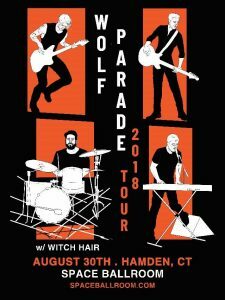 That unique combination of sounds and influences, spearheaded by electric co-frontmen Spencer Krug and Dan Boeckner-a complex yet relatable, energetic brew of glam, prog, synth-rock, and satisfying discomfort-helped define 2000s indie rock with three critically celebrated albums, and propelled a growing Wolf Parade fandom even after the band went on a then-indefinite hiatus in 2010. 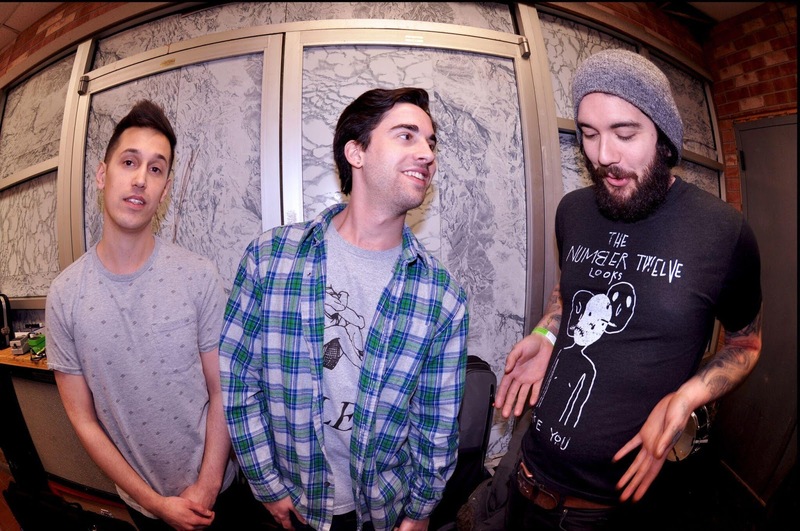 INFO: Pleasure Beach is a band formed in Middletown, CT, in early 2015. Taking cues from post-punk and new wave groups, the band also cites the musical history of cities like Minneapolis and Los Angeles as influential. There’s a spectrum of sorts when it comes to melody in instrumental rock. Some bands will introduce one melody and chisel it over time, using the power of repetition to drive a narrative. Other bands will compile many melodies played in quick succession, opting for variety rather than development. 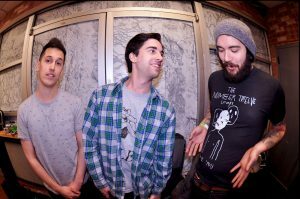 New Haven trio Ourselves Alone is undoubtedly in the latter group. The band pick from an ostensibly infinite supply of technical guitar phrases, jazzy chord progressions and rapidly changing soundscapes. They have a fast, noisy, and unpredictable approach. INFO: Known for their gorgeous harmonies, infectious songwriting, and captivating stage presence, Red Molly (Laurie MacAllister, Abbie Gardner and Molly Venter) weaves together the threads of American music—from folk roots to bluegrass, from heartbreaking ballads to barn-burning honky tonk—as effortlessly as they blend their caramel voices into their signature crystalline, three-part harmonies. Their brilliantly wrought a capella tunes are love letters to the art of the vocal blend, and their innovative instrumentation is perfectly suited for foot stomping bluegrass-tinged barnburners and heart-full ballads alike. Red Molly is simply a joy to listen to. 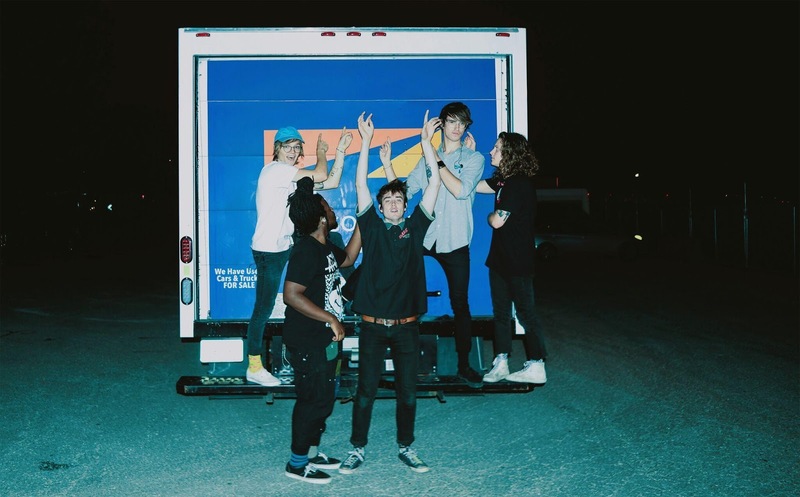 INFO: Hippo Campus is a band from St. Paul, Minnesota. Formed in 2013, prior to graduating from performing arts high school, the band started on a break out trajectory following a series of talked-about performances at SXSW. This was immediately followed by their network television debut on Conan. 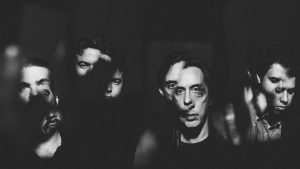 They’ve since risen to the forefront of their genre on the backs of relentless touring and the strength of their debut album ‘landmark’. In October 2017, the band released their self-produced EP ‘warm glow’ as an ode to loyalty and self-preservation. 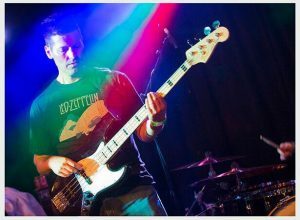 INFO: Undoubtedly one of CT’s hottest bands, Presence CT Led Zeppelin Tribute have been wowing audiences across the state since their inception in September 2016 with their blistering, spot-on renditions of some of Zeppelin’s finest work. What began as a jam session among life-long friends and musicians quickly morphed into the sublime when 18-year-old vocal sensation Michael Stearns (The Voice) entered the fray. The band has since never looked back. INFO: LEEDS is Royston Langdon, former lead singer of Spacehog, with a name that’s a nod to his hometown and an album, Everything’s Dandy, that is a culmination of his 24 years in New York, both in its content and its production. Originally from Leeds, Langdon got his start playing music in the U.K. In 1994, however, he followed his brother Antony to New York and fell for the city immediately. Not long after the move, Spacehog formed. In the fall of 1995, they released the debut album Resident Alien, which spawned the hit single “In the Meantime.” Three more albums followed over the next 18 years.